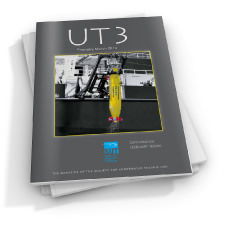 Abstract: Increasingly, subsea engineers and underwater technologists are required to perform risk and reliability assessments as a key element of underwater development projects. 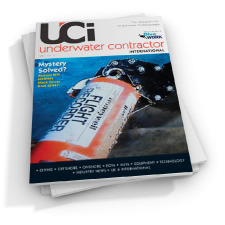 The need for training in the application of safety techniques is growing and many in the industry now regard risk and reliability engineering as essential education for underwater technologists. This paper describes a risk and reliability workshop exercise for a diving bell life support system. The exercise provides experience in the use of risk and reliability assessment methods and demonstrates the importance of understanding the system under examination. the solutions to the exercise are presented together with a discussion of the techniques and their use in identifying and evaluating weaknesses in a system design. 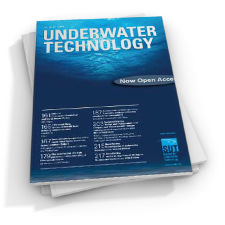 Abstract: Three types of membrane module have been investigated for the removal of carbon dioxide from breathing gases used in life support systems, such as in diving operations and in submersibles. the modules include flat sheet and hollow fibre membranes, microporous hydrophobic hollow fibre membranes and electromechanical membranes. The performance of each module has been compared and estimates made of the area requirements in order to reduce the carbon dioxide concentrations to acceptable levels. Abstract: The first fibre optic system for permanent monitoring of downhole pressure and temperature has been successfully installed in an onshore gas well for Nederlandse Aardolie Maatschappij B.B. (NAM) in the Sleen field in the Netherlands. The system is designed for 1000 bar pressure and 200°C temperature, and has been fully qualified. A complete system has been developed comprising passive gauge, downhole cable, wellhead and pod connectors, penetrator until for the wellhead (for platform applications), optoelectronics for sensor operation, and conversion and logging unit. Abstract: Reliability–based codes and safety practices are being developed almost independently for both facilities and structural design aspects of offshore platforms. While the methods of approach and the nature of the databases are quite different, their outcomes have a common effect on the safety of the overall facility. Optimisation of independent components of the overall system, whether they are structurally–related or facilities–related, will lead to a reasonable optimum for the system. The development of the API RP2A–LRFD is the result of such an optimisation framework. This development is based on calibration against proven offshore design practice and actual storm survivals and failures. While it is important for the decision maker to consider risks related to both facilities and structures; they should not be combined in any optimisation process, as might be the outcome of a quantified safety case evaluation, where the substructure is treated as if it were a component of the facilities system. Quantification of risks for the purpose of optimisation of resources cannot be justified for the databases that are now available. It is important that the designer is not faced with target probabilities, particularly for combined facilities and structural design. Such prescriptive targets can preclude the use of engineering judgment and common sense in favour of statistical manipulation of very uncertain probabilities. However, the research community should continue to strive towards closing the gap between analytic predictions and actuarial experience. Exploitation or responsible use of the Oceans? Abstract: The oceans and the sea floor beneath them contain potential resources of many kinds, only a few of which have yet been exploited. The main limitations are not so much technical, which can be developed given the right conditions, but economic, legal, political and emotional. A little recognised resource is the capacity for the ocean to store or disperse the growing quantities of anthropogenic waste. This could provide a revenue for the United Nations through the Convention on the Law of the Sea. To be acceptable to the public, exploitation has to be shown to be done in a responsible manner and the environmental risks to be lower than alternative options. Abstract: British diving science is reviewed from its beginnings around the turn of the century until free diving became common practise in the early 1970s. Most attention is focussed on the pioneering years. Two types of scientists are considered: those who studied diving science itself, especially diver physiology and those who pursued their science by diving. Pre–eminent among the former were the Haldanes. By 1907 John Scott Haldane had produced the first decompression tables. Thirty–two years later his son, J.B.S. Haldane, began to investigate the fate of men trapped in disabled submarines. His father had wisely studied the physiology of working Navy divers, but the son studied the effects on himself and his colleagues of breathing a deteriorating atmosphere in pressurized chambers. Few experimenters in any field have required more courage. Haldane’s team mounted the first systematic study of nitrogen narcosis and set safe lower limits for divers breathing compressed air or oxygen. J.B.S. Haldane was also the first to describe the potential of using helium–oxygen mixtures for deep diving. The early achievements of the Royal Navy’s Experimental Diving Unit and, later, its Physiological Laboratory were also substantial. They not only produced improved decompression tables, but also pioneered the use of helium mixtures for deep diving and the physiological consequences of doing so. The British pioneers among those who merely used diving as a means to gain access to the subtidal region were biologists. F.S. Russell and A.P. Orr used a bucket–sized diving bell helmet during the Great Barrier Reef expedition in 1928. Jack Kitching used a similar device to conduct the first underwater diving surveys in British waters from 1931 to 1936. He penetrated to 12m and produced results of real scientific merit. The invention of the aqualung brought diving within the reach of many more scientists. In Britain the first use of SCUBA for scientific research was Banbridge’s study of swimming zooplankton published in 1952. Forster’s surveys of the underwater life around Devon were first published in 1954 and two years later Joanna Kain began her classic studies of Laminaria off the Isle of Man. Brief reviews are presented of the achievements in the other main fields of underwater endeavour, including diver psychology, underwater archaeology and geomorphology. Of necessity, these pioneers often dived alone, but soon there were courses for diving scientists and small groups of research divers were forming in the Isle of Man, Plymouth, Durham, Edinburgh, Glasgow, Cambridge and elsewhere. A joint expedition to Malta in 1965 laid the foundations for the Underwater Association for Scientific Research which subsequently acted as a conduit for the organisation and publication of much British diving science. Abstract: This paper addresses the issue of mud maintenance dredging in harbours. Port authorities face pressure to decrease the quantities or cost of dredging and at the same time the challenge to dredge with the least environmental impact. Two contrasted techniques, which have led to parallel cost reduction and environmental benefit, are presented as examples. Sedimentation engineering will increasingly offer prospects for progress in these areas in the twenty–first Century. Abstract: A three–dimensional (3D) object recognition method has been developed based on Fourier Descriptors (FD). The FD is calculated from the boundary curve of an object silhouette on a two–dimensional plane. A combination of the Fourier Descriptors and a neural network has been used to identify the shape of each of a small range of objects. The possibility of using such a method for automated underwater visual inspection has been researched and a prototype system has been built and tested in the underwater environment. The system has been successfully used to clearly identify the shape of three different objects subsea. Abstract: There is currently considerable emphasis of cost saving in the installation and operating practices of sub–sea pipelines. the industry is now well established and extensive experience exists to guide developments in the use of materials and protection against failure. To a very large degree the design of pipelines has been governed by codes based on limiting conditions applied to stress. This has the effect of preventing highly efficient use of expensive pipeline material. If the pipe geometries and operating condition can be based on limiting conditions of strain, allowing exceedance of yield stresses, a potentially significant saving on costs could be effected. This paper presents a brief review of information on the use of strain–based criteria and the bases of the limits which may apply to the use of strain criteria. The information relates to the changes of geometry and material properties, which occur when pipelines are bent to high levels of strain. It is concluded that in certain operating conditions and installation techniques, high levels of straining could be permitted without undermining the intrinsic safety of the pipeline. Abstract: Oxygen has a very strong influence on the diagenesis of organic carbon, but it is very difficult to measure in sediment pore water. The small quantities of water involved preclude the use of conventional sampling and analysis techniques. Microelectrodes are fragile and expensive, while commercial electrodes are too large and exhibit a change in calibration between seawater and sediment. A successful electrode should be robust, and should have a low oxygen demand that can be satisfied by molecular diffusion alone. As part of the design of an instrument for autonomous deep ocean measurement, we have produced an electrode which meets these requirements. It can be fabricated at a reasonable cost using normal laboratory procedures. The electrode, which typically has an active cathode area of 30–40 square microns, is physically strong and is not subject to interference by turbulence and the presence of high concentrations of solid phase material. 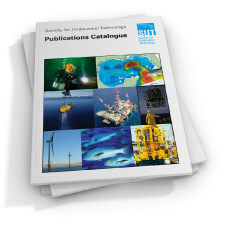 Abstract: For the past twenty–five years, underwater welding for installation and repair of structures and pipelines in the oil and gas industry has been largely dependent on the experience and skill of a small number of diver/welder personnel, with a specific limitation imposed on the welding depth. For future requirements, it may be necessary to operate at depths greater than those at which divers can function safely or efficiently and to have the capability of joining materials other than C–Mn steels. Thus, the advent of laser welding may introduce a potentially more flexible system by developing new applications previously not possible with the existing techniques. Specifically targeted areas are the installation and repair of pipelines or structural members and root welding of pipelines. The environment in which this welding will be required may be under wet to hyperbaric conditions. Therefore, the marinisation of the laser welding system, with the aim of assessing the feasibility of implementing a remote welding system controlled either locally or from a surface position, is also a necessary consideration. 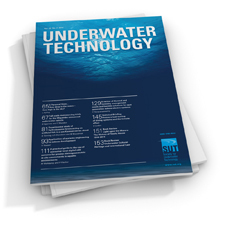 A brief review of current underwater welding technology is covered, and the feasibility of implementing lasers in the offshore environment is discussed. In addition, a short summary of the work to date is given. Abstract: Coastal structures are subjected to high wave impact loads. Previous model tests and field measurements indicated that these loadings are strongly influenced by the seabed slope. Within the Wave Energy Group at Queen’s University, model tests were conducted to assess the influence of the seabed slope on wave impact pressures on a model shoreline wave power station. For these tests, regular waves and breaking waves created by energy focussing were used. It was found that with regular waves the wave impact pressures decrease rapidly in magnitude with decreasing seabed slope, but that, for focussed waves, this decrease is considerably smaller. Abstract: It has long been recognised that wave growth in severe storms falls short of full development due to the effects of limited duration and fetch. This note assesses this effect quantitatively by applying widely–used formulae for wave growth based on the JONSWAP spectrum to available data. It is found that in practice, the greater the wind speed, the earlier is the likely stage of development, and in severe storms ‘fully–arisen’ conditions are rarely, if ever, achieved. This is mainly because of the excessive durations then required, but it is suggested that in the open ocean these may be overestimated by the JONSWAP formula due to the effects of swell. The evidence presented in support of these findings has been derived both from instrumental measurements of wave height and wind speed, and from the ‘Global Wave Statistics’ database which analyses visual estimates of wave height and wind speed. Five storms have been looked at in detail to see whether they illustrate some of the points made. It is found that only in simple conditions do the spectra at the time of maximum wave height has a JONSWAP form with early development–stage parameters. Sometimes the area of highest winds does not pass directly over the observing site, and because of the time delay in building up the wave energy, the highest waves often occur after the time of greatest wind speed. Both these situations produce wave systems with characteristics which may be described as ‘young swell’. Abstract: A study has been carried out to establish the dynamic behaviour of subsea umbilicals during installation from lay vessels. Calculations of the response of the umbilical in the lay catenary, together with the wave excitation of the installation vessel, are used to predict the loading on the umbilical in regions of maximum flexure near the lay chute and seabed. The results are used as an operational tool during two lays to provide dynamic loading values as the umbilical is being laid, using the vertical acceleration at the lay chute measured over the range of sea states encountered. Abstract: There are weaknesses in the standard practice of using Morison’s equation to model the hydrodynamic forces on flexible pipes and cables. For the inertia term, Lighthill showed that Morison’s formula omits important terms as the flow becomes near to tangential and he derived a theoretical formula for a 2D case under tangential flow. We suggest a generalised, though not rigorous, momentum rule based on Lighthill’s approach and use it to derive a 3D generalisation of Lighthill’s formula. This generalisation reduces to Morison’s formula for near–normal flow and to Lighthill’s for near–tangential flow. The generalised formula has been implemented experimentally in our numerical simulation program OrcaFlex and comparisons with theoretical results are given. For the drag term, Morison’s formula is again poor for near–tangential flow; we review the proposed formulae and use OrcaFlex results to show that for towed arrays the choice of formulation can be important. Noise in air is well–known as a source of occupational injury, as high levels over long periods can cause deafness. Noise has not generally been considered as a cause of deafness in divers, despite the very high levels of noise to which divers are exposed. To some degree, this has been due to the difficulty of measuring underwater and hyperbaric sound, and due to the incomplete state of knowledge concerning the effects of underwater sound. The purpose of this paper is to provide a review of noise and diving, and to highlight areas of ignorance.